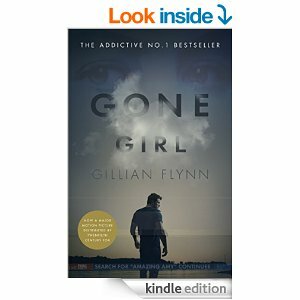 A couple of weeks ago I FINALLY got round to reading Gone Girl – possibly the last person in the entire country to read it!! Husband and I are in New York this week (plenty more blog posts about that to come – bet you can’t wait?!) but tonight – having done loads of tourist and shopping stuff, we decided to have a decadent treat and actually go to the cinema to see something we want to see and not a kids film! Slightly mad that we have to come across the Atlantic Ocean to do that – but it felt like a lovely treat none the less. Having said I was perhaps the last person to have read Gone Girl – I should have clarified that the husband hasn’t! He doesn’t do books – so I thought it would be interesting to see what we both thought afterwards. It was pretty true to the book – but there were some chunks missing (as is always the case) – and like the book I didn’t particularly like any of the characters – so I guess it shows the actors got that right!! I felt that the film seemed a bit slow – but I wondered if that was because I knew what was coming – so was wishing it away – but having discussed it with the husband, he felt the same. So I guess the film was just kind of slow!! One thing I did realise – is how much we rely on Sky+ (this was the most wonderful invention between my first pair and second pair of kids – I remember weeping when the oldest was a few months old because ‘I just want to watch Dalziel and Pascoe’ – and back then you watched it in real time, or waited for it all to have been recorded to play back – how retro!) but we quite often utilise the pause facility now to have a brief chat on what’s happening (or more likely for me to explain what’s going on because husband has been working at the same time and not paying full attention!) not being able to do that in the cinema felt a bit disappointing!! Just like the book, the twists and turns were great – and it would appeal to both sexes. So all in all – a decent film – but not an amazing film. There endeth my first film review on this blog! Do not fear, there won’t be many – there will be far more book ones!! I know, I know, everyone else read this YEARS ago, I am totally behind the times! Just like the series ‘Breaking Bad’ (which I am still resisting) loads of people have raved about ‘Gone Girl’ by Gillian Flynn and I’ve just never quite got round to it. But with the Hollywood interpretation of it due out next month, I thought I should really get my act together and read it before I see the film. I hate seeing films before reading the books (although often don’t like the film once I’ve read the book, so perhaps I shouldn’t read so much!) Although with 4 children, popping to the cinema is a thing of the past – like a full night’s sleep and size 12 jeans! A number of people had told me the ending was rubbish – and perhaps it was because that gave me really low expectations, I didn’t find it as bad as I expected!! Whilst it’s a good, fast paced, thriller – it isn’t exactly literary genius – but it was very enjoyable.